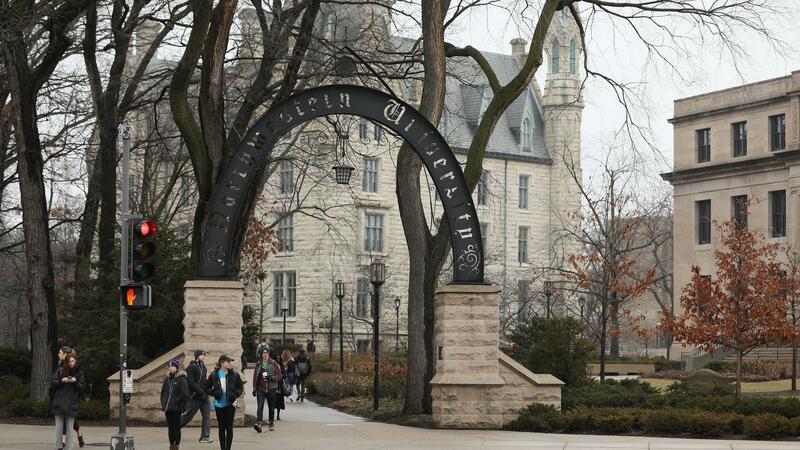 Northwestern University offers the hardest courses to the students to polish their abilities and skills in dealing with tough situations. Each course demonstrates practical situations so that students can find solutions. Students will be able to pass these courses if they work hard with dedication to graduate successfully. This course deals with financial accounting processes. It requires students to communicate, identify and record the accounting information through external users. The course discusses the GAAP framework and the relevance in association with financial statements. Students will learn about the transaction analysis, inventories, liabilities, cash management, and long term assets. This course will be hard to pass as students will have to practice a lot before their final exam to have a good grade in it. This course emphasizes on the procedures and principles of auditing. There are foundational concepts which students have to understand by determining the evidence and techniques of executing audits. Students will learn about specific ethical issues such as fraud risks, key audits, auditor independence, statement line for client and debt. Moreover, there will be assignments for homework daily, which can make it tough for the students to cope with this subject. Public relations course deals with the management functions of the organization, whether it is private or public. It teaches the students about marketing disciples including the communicating affairs, media relations, corporate reputation, and government affairs. Also, there will be a high emphasis on PR, as it is an effective method of interacting in the social circle. Students will learn about media relations, PR counsel, crisis management and drafting the PR message. This course deals with the approach of ethnography by examining the daily practices and functions of the organizations. It communicates the values, goals, activities, and management of the organization. So, students will have to apply the approaches on the government agencies which is the hard part of the course. Also, they will have to draw a report on real cases to pass this course with a good grade. This course is the study of time and space across humanity. It focuses on the differences between human beings recognizing their culture and social environment. Students will study a different class, race, gender, age, etc. They will also discover the research methods through reading research and experiments about ethnography. This course will be challenging to pass if the students do not take out time for studying. This course deals with the molecular and genetics of biology. It covers the inheritance topics like the function of genes, DNA mechanisms, RNAs, proteins translation and the natural selection process. So, students will have to read a lot as it is a theoretical subject which can be hard for them. Also, they will have to remember the basic concepts to apply them directly under the scenario of questions given in the final exam. This course focuses on the study of the population about 500 years ago in different continents of the world. Starting from Asia, Europe, Africa, and the Americas, it teaches the students about communication and trade globally. It also emphasizes the foundations in the global world. Students will explore the contemporary world origins along with the transition of history from the Agrarian times till the Modern Era. This course will be hard for the students as it includes thorough detail from the past where they will have to remember dates and little details of each event. This course deals with the basic concepts of organic chemistry. Topics included are resonance, reaction mechanism, Nomenclature, hybridization, and stereochemistry. Moreover, it will also cover the reactions of alkenes, alcohols, and halides. Students will have to work both in lab and theory to pass this course with high marks. This course covers the monetary policies and macroeconomics by recognizing the behavior towards the economy overall. The emphasis is on the economic crisis in the US and Europe region. Topics included are inflation, income, growth, unemployment, the rate of interest and investment. Moreover, students will learn about the fiscal policy in detail, which is the hardest part of this course as it includes numeric which need a lot of practice to pass with a good grade. Students will explore the negotiation and bargaining power in this course. They will identify the processes of managerial, theoretical and social activities. So, this course is an overview of the approaches, methods, concepts, and research on negotiation and bargaining. Students will have to work on both theoretical and practical approaches to pass this course. Also, they will have to develop their strategies and tactics to improve their negotiation and bargaining powers by demonstrating it through presentations in the class. Students can pass these courses if they pay attention to the concepts and keep their practice consistently. Without wasting any time, they have to study continuously so they can graduate with a high GPA.